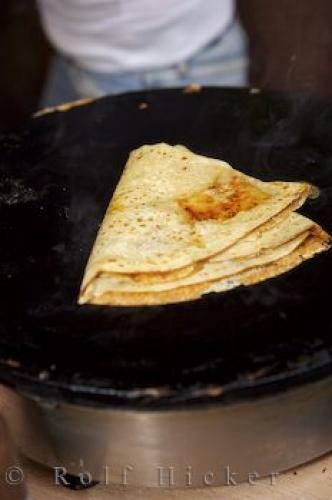 A classic french food - a sweet lemon and sugar crepe served from a lane-side store in Nice, Provence, France. Completed Crepe at a small restaurant in Place Centrale in the Old Town of Nice, Provence, Cote d'Azur, France, Europe. and lemon, a popular food with the french.